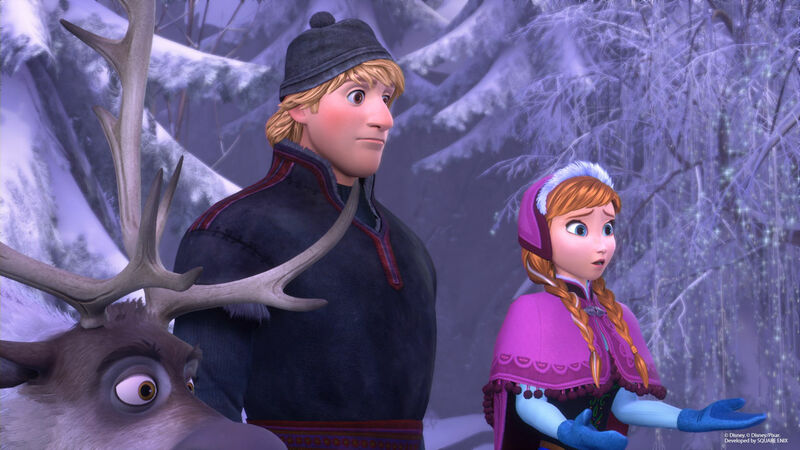 Return once more to a world filled with Disney magic. 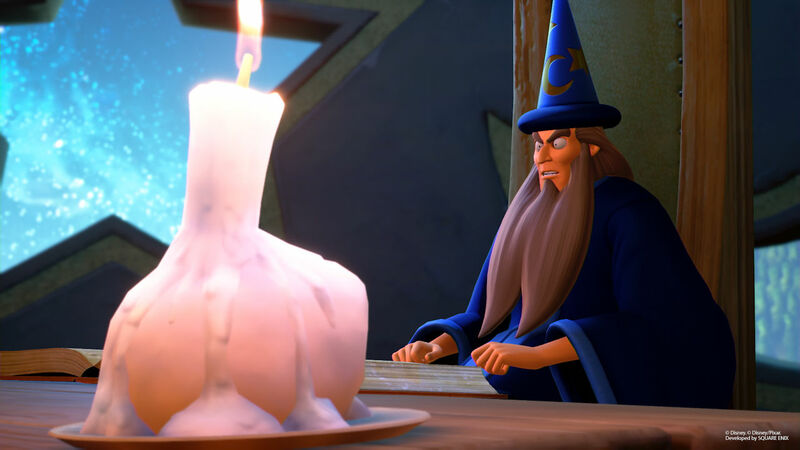 Thirteen years in the making, Kingdom Hearts III has finally arrived to help round out the main entry series within its enchanting and wondrous blend on Disney and Pixar magic mixed with a big helping on the traditional Square Enix RPG nostalgia. Does this entry into an amazingly lengthy series of games hold up when compared to its predecessors? In this review I’ll give you all the information necessary to traverse this once in a life time experience. 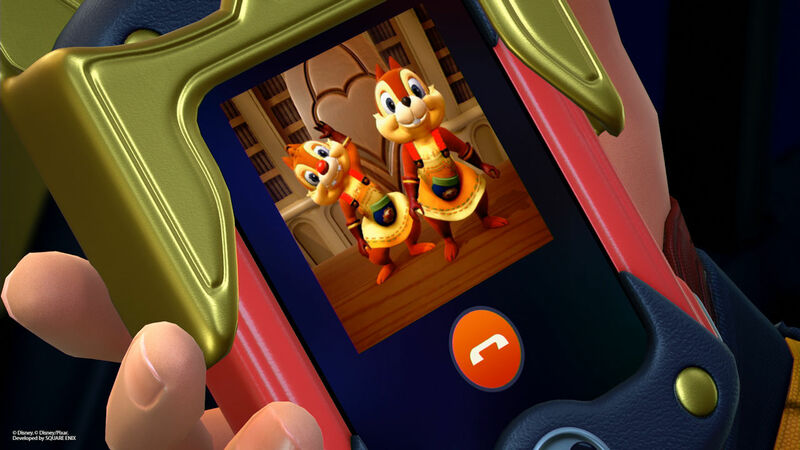 As mentioned, it has been close to thirteen years since our last official main-line story entry into the series. (Ironic considering the main antagonist group featured in the series.) With this in mind I’ll try and make this as easy to follow as possible. 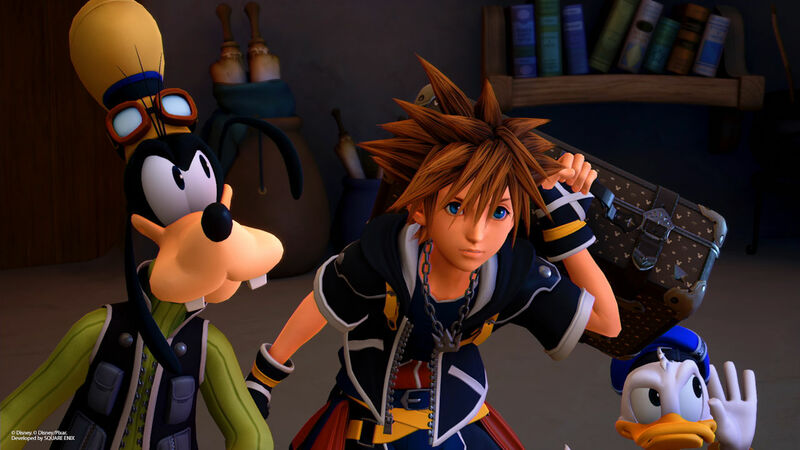 Kingdom Hearts III assumes that you’ve played every single iteration in the series, this includes games such as Chain of Memories that date back to the old days of the Gameboy Advanced. 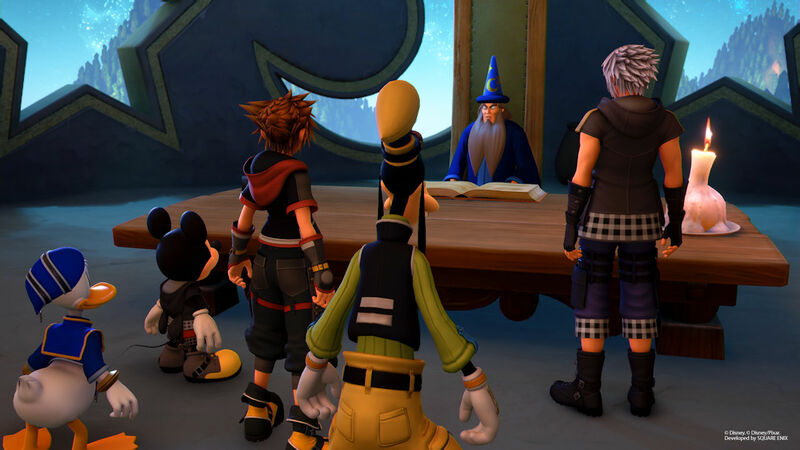 This which can lead to quite a lot of confusion for first time players or even veterans returning to the world of Kingdom Hearts. 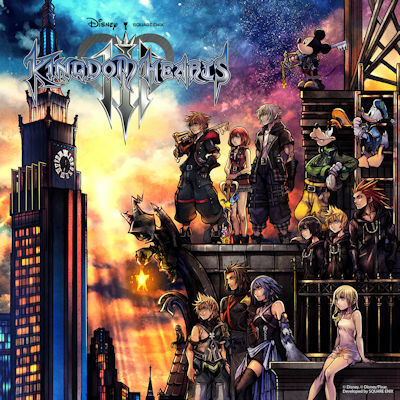 Our story returns to our main cast of characters, Sora/Donald and of course Goofy along with returning and supporting characters Riku, Kairi, Axel, Mickey and Aqua as they battle on behalf of the seven warriors of light. 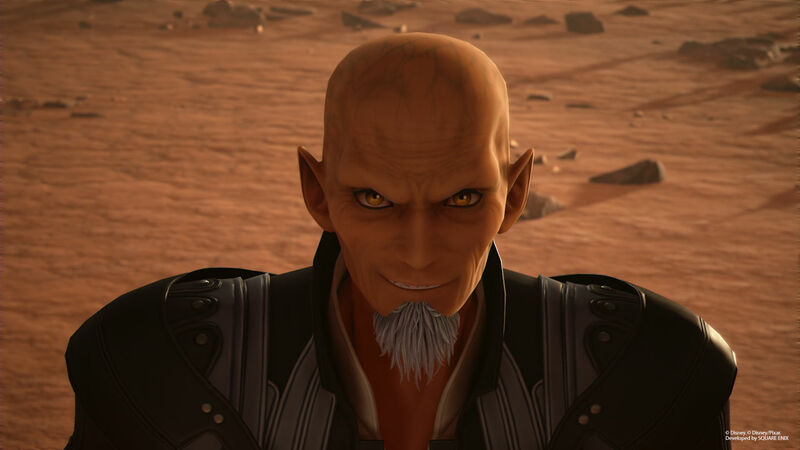 Against the forces of darkness headed by the villainous Xehonort and his Organization XIII crones, returning players will instantly feel the nostalgia and heart that has been put into this game as it feels much like the previous numbered iterations in the series, dealing with matters of love, friendship, loss, hope and of course believing in your friends and yourself when times are rough. 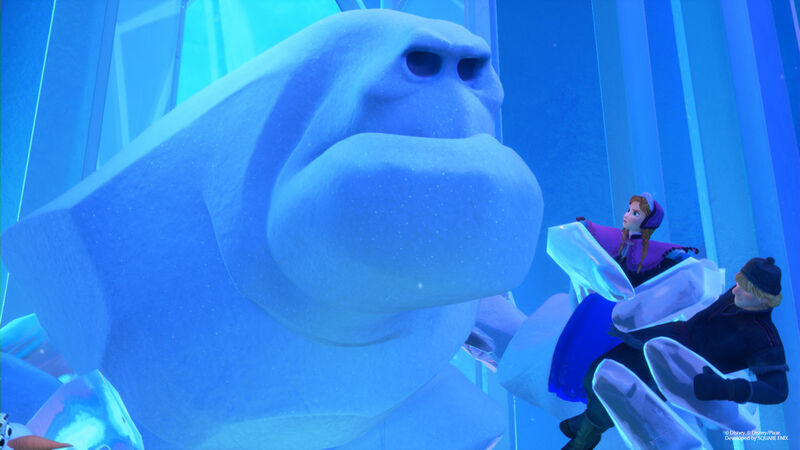 The break from the main series has only served to bolster these notions, as Kingdom Hearts III feels much more human when it comes to displaying these emotions. It really feels like a lot of developers and programmers put their heart itself into this game. From the refined art style, the world selection and even just the general motion of the game itself is truly a sight to behold having perhaps one of the best game openings of the past decade. 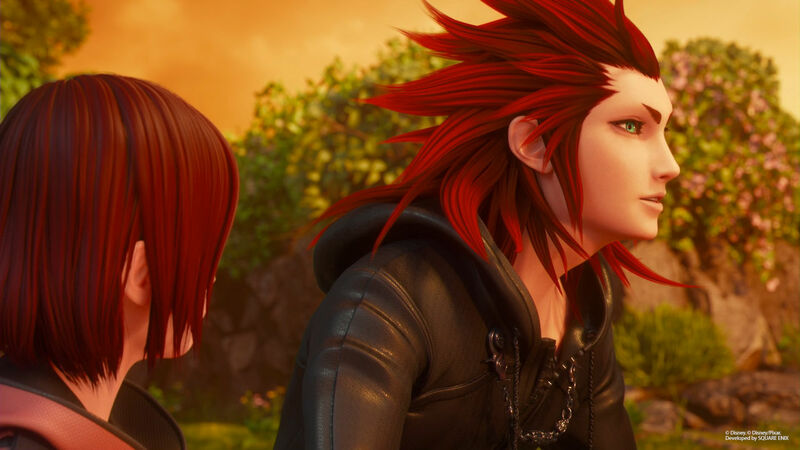 That being said as much as I can recommend this and enjoyed my experience throughout, Kingdom Hearts III does seem to be more aimed towards the casual audience in terms of difficulty. This could perhaps turn away some of the older fans of the series. While the story is good and the world selection is perhaps one of the best in the series, the overall delivery of it all could have done with a revision. 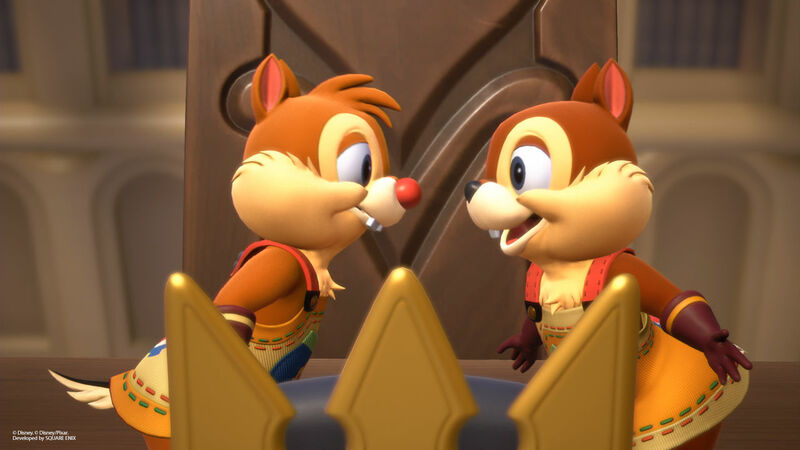 A majority of the dialogue during cut scenes comes across a bit ham-fisted, it also features numerous instances of the dialogue feeling much more forced compared to previous iterations in the series which considering how most of your game time is spent in a cut scene can become quite frustrating after a good number of hours. The pacing can also go from a snail’s pace to a bolt of lightning within a moment’s notice, this becomes more apparent when further characters are introduced roughly three quarters into the game. This leads to a rather comical moment, where in a pivotal cut scene our resident record keeper Jiminy Crockett pipes up to basically state that so much exposition is being thrown out at once, that he had written a brief summary of all the characters and what had happened while they were away from the main cast. I can only take that as a meta breaking almost self aware experience which made me laugh delightfully, to know that even the developers realised that all this information might be a bit too much. While I didn’t mind this so much it does kind of dampen the more emotional moments of the game as they can feel squeezed in to resolve the overarching plot-hole very quickly. That being said with these issues aside the emotional moments hit all the marks, they where some of the most truly spectacular moments I’ve had playing an RPG. While I didn’t care for the sheer amount of exposition being forced on me so early, it made me really want to go and actively play every single game in the series including all the different iterations of .5 and remakes just to find that extra bit of information to help fill in the blanks. 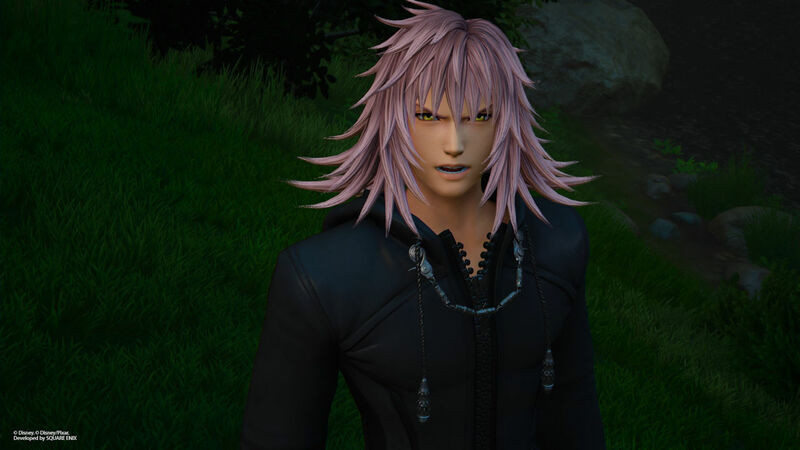 All I can say is this was masterfully crafted and is one of the great joys of the Kingdom Hearts series. So the core mechanics of combat hasn’t been altered from its original iterations. 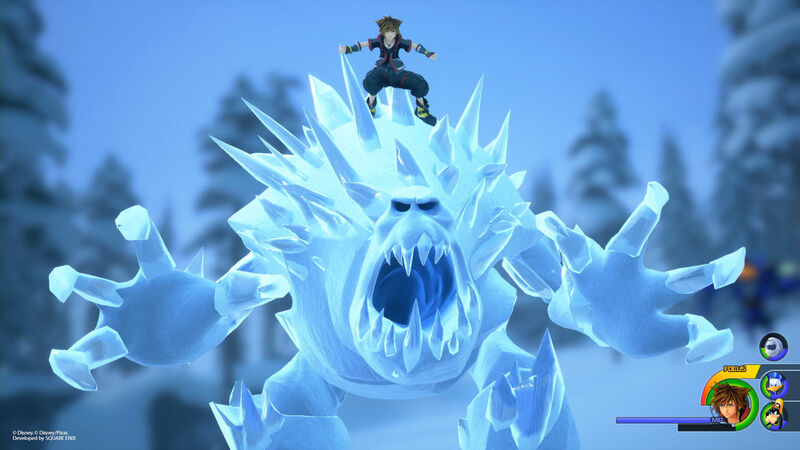 Returning players will get back into the actions within seconds, as they watch Sora swing his keyblade around taking down numerous foes, all based off the worlds visited along with some returning foes from previous games. 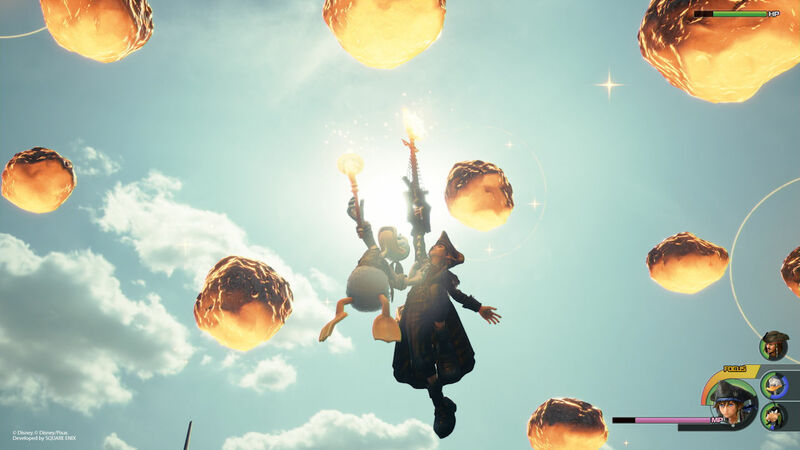 At its core Kingdom Hearts has always been about frantic and chaotic action combat, making use of the space allowed to chain together simply stunning combos while artfully avoiding counter blows with a well timed guard or dodge. 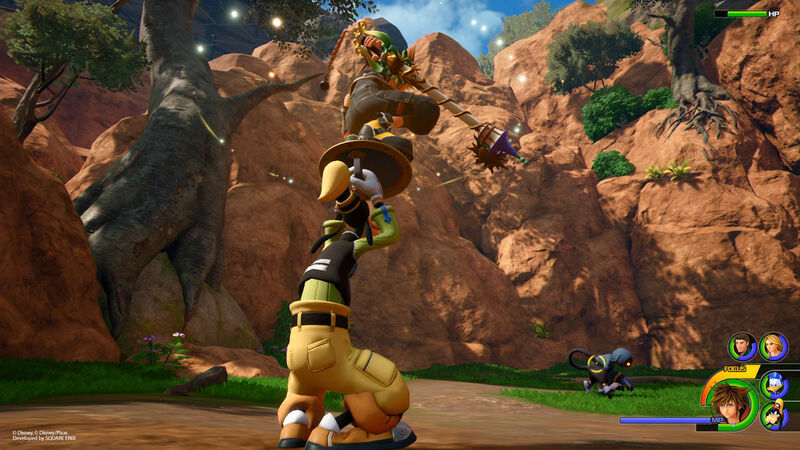 Kingdom Hearts III expands on this notion by adding in several expansions from non-numbered entries, the flow motion combat which is the ability to bounce off solid surfaces to increase height as well as chain together unique combos or avoid enemy attacks. 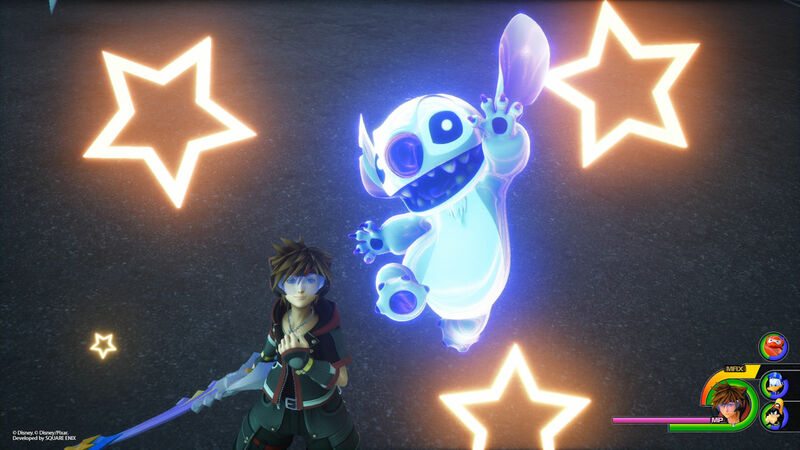 Shotlock first featured in Birth by Sleep returns, allowing for Sora to target multiple foes at once to release a bombardment of abilities ranging from meteors to beams of energy. Shotlock can also be used to move around the environment at a much faster pace knocking enemies aside as you traverse the expansive worlds featured within. While it was awkward to master in Birth by Sleep, the addition of a bigger screen and much more fluid motions make these returning mechanics a dream to play around with. Making clever use of the flow motion combat will be key to progressing through the story. Keyblades are the main stay for our hero Sora and I’m delighted to see that keyblade forms are still very much a part of the series. In previous iterations our main character was able to shift into more powerful forms as the battle progressed in order to quickly dispatch foes or recover HP. 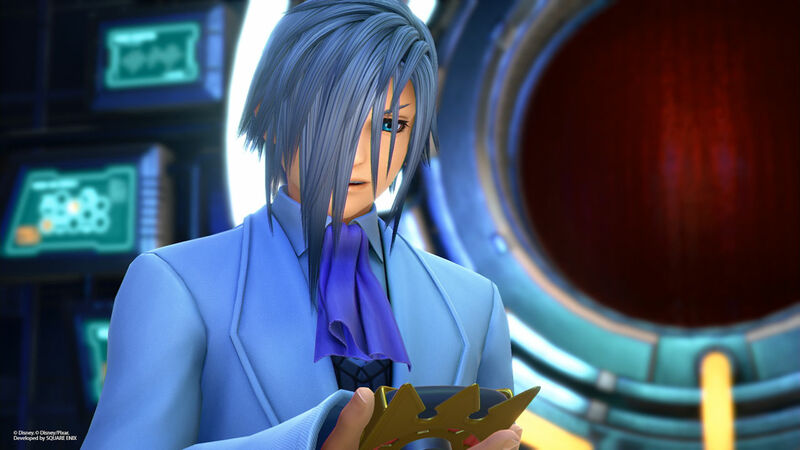 Now these forms have been reworked, these forms can now thankfully be triggered much easier during combat which is a huge boon as each Keyblade collected has its own form based off the world they originate from. These can include rapid swinging claw attacks, dual blasters and launchers to even yo-yos! to add to this even further Sora can now carry up to three keyblades at the same time! meaning the sheer range of forms to swap between during combat can become quite staggering. The only negative remark I can make in regards to combat falls back to our old friend the camera angle, it took some tinkers in order to get it to co-operate during combat. As with games similar to this nature it has a habit of losing track of enemies very easily, this leads to getting hit from directions the player can’t actually see. That aside the sheer amount of additions added into combat make it a pleasant experience, new and old players alike will thoroughly enjoy these combat changes. So it comes to the conclusion, this is one of the most incredible games I’ve had the pleasure to experience over the past decade, I specifically never spoke of which worlds had been added in as I don’t want to deny anyone of the experience as each of these worlds. They are all utterly amazing and while some clearly have had more time/care put into them it doesn’t detract for the truly breathtaking experience that these worlds instil within the hearts of fans not just of Kingdom Hearts but of Disney in general. I have sunk more than 30 hours into the game thus far and I’m still far from finishing the entire experience. I can say that once I’m done here I will be most certainly returning once more to complete all the additional content, be it travsing the worlds finding all the lost treasure, flying through space on my custom Gummi-shop or playing the sheer dozens on mini-games and unlockable features throughout. All I can say in closing is everyone involved really knocked this one out of the park! I’m really looking forward to future instalments within the series whether they are main entry or not. Excellent job to everyone involved!